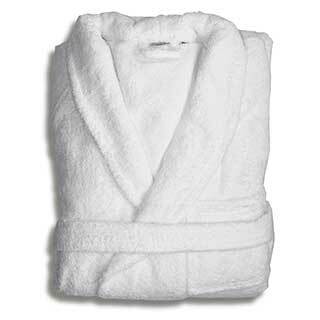 Our range of terry towelling bath robes are all made from fine super soft 100% cotton towelling. We supply either the classic 400gsm towelling bath robes or the luxury 500gsm towelling bath robe, which are ideal for relaxing in a hotel bedroom or spa. 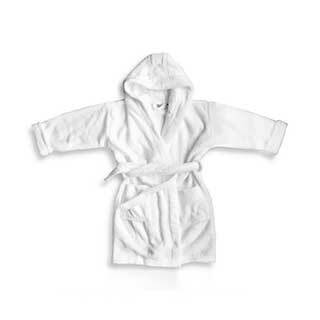 Towelling bath robes are available in white only. Shawl collar and kimono styles are available, with full sleeves, front pockets and loose belts. Our children’s bathrobes are soft and cosy with a shawl collar and hood. 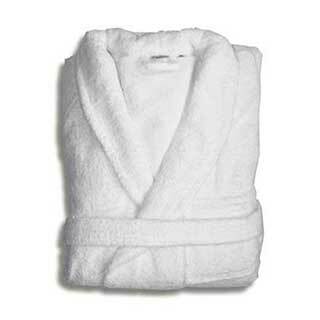 Order your towelling bath robes from www.supply2hotels.co.uk. Hotel terry towelling shawl collar bathrobe in white. Superior quality 100% cotton terry towelling super soft shawl collar bathrobe, made from the finest cotton yarns - 450gsm. 100% Cotton Towelling. Length 120cm (47"). Front pockets. Full sleeves. Loose belt. Generous size. Terry towelling hotel bathrobes. Super soft 100% cotton towelling, Calf length with shawl collar bathrobes made from the finest cotton yarns - 400gm. 100% Cotton. Calf Length. Front pockets. Full sleeves. Loose belt. Generous size. 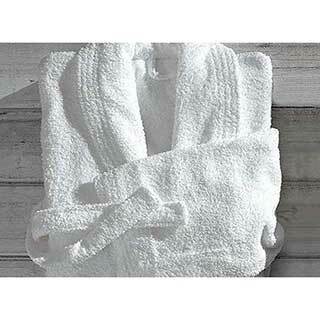 Terry towelling kimono style bathrobe in super soft 100% pure natural cotton 400gsm terry towelling. Front pockets. 3/4 Sleeves. Loose belt. Perfect for men and women. Kimono style only. White only. Super soft 100% microfibre childrens bathrobes with shawl collar and hood are made from ultra soft 100% microfibre. Ideal for children to snuggle into after a bath or shower. Super soft 100% microfibre. Easy to wash and quick drying. Soft, warm and fleecy.